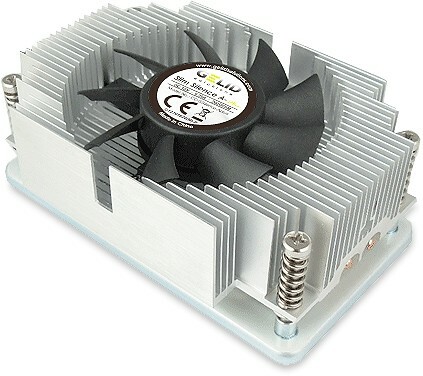 Compact Heatsink Design for Mini ITX, Micro ATX, ATX, HTPC, Panel PC, Car PC and 1U servers! With a compact heatsink design for Mini ITX, Micro ATX, ATX, HTPC, Panel PC, Car PC and 1U server the Slim Silence A-Plus contains two power heatpipes and a silent fan with PWM function. The high performance heatpipes ensure a fast and efficient heat transfer from core to aluminium fins. The frameless quiet fan includes ball bearings and GELID's intelligent PWM (Pulse Width Modulation) control which ensures quiet operation at low CPU temperature and accelerates the fan speed when necessary.